JUST ANOTHER TEACHER: MY HOMETOWN GASTRONOMIC ADVENTURE - "FISH AND CHIPS AT INFUSION CAFE, KSL HOTEL"
MY HOMETOWN GASTRONOMIC ADVENTURE - "FISH AND CHIPS AT INFUSION CAFE, KSL HOTEL"
I was at KSL Hotel to make the payment for the upcoming gathering which will be held there this weekend. I went to Infusion Cafe right after school, still clad in my uniform unit attire. The plan was to get a slice of carrot cake and coffee right after the appointment at the cafe in the shopping mall attached to the hotel. However, I was offered an early dinner/late lunch which I was quite reluctant to accept at first. 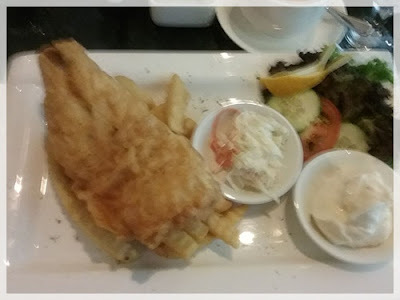 Eventually I chose fish and chips, which should be not that expensive compared to other food choices on the menu - and healthy too. 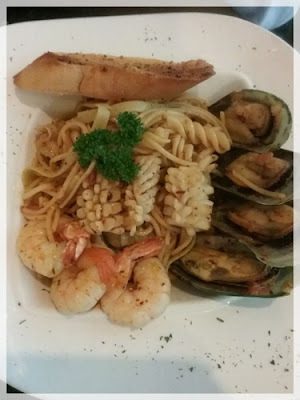 When my food arrived, I was surprised at the size of the platter and the food in it. This portion of fish and chips (and all the garnishes) was definitely worth the price and considering I was eating in a hotel. I think the mayonnaise kitchen-made was really delicious. 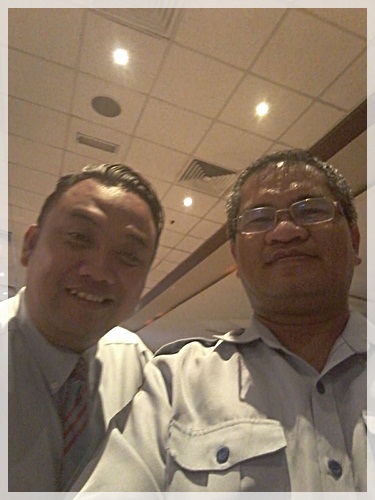 Thank you Mr. Asri Katni, one of the earliest students whom I taught when I was posted to SMK Gelang Patah back in 1993, and is now the management staff of the cafe . That one moment when I felt being a teacher is not so bad after all. MOVIE REVIEW - "READY PLAYER ONE"